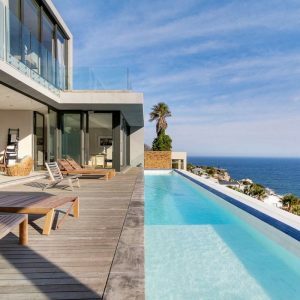 Get the best rate on luxury holiday rentals in Cape Town. Find an apartment or villa with a fully-equipped kitchen, hotel conveniences and 24/7 local guest support. The Mother City carries its title proudly and is the top holiday destination in South Africa. 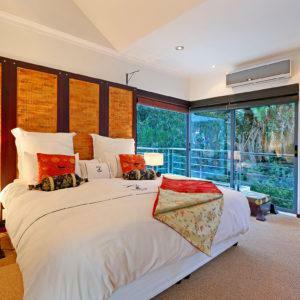 Set yourself up for a fun time by choosing the perfect accommodation in Cape Town. 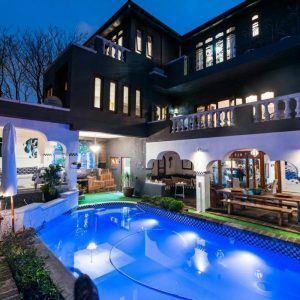 Cape Town Villas is a specialist self-catering holiday villa letting service that offers holidaymakers a handpicked selection of luxury living spaces in the Mother City’s most exclusive areas. Our professional team knows each of the luxury vacation rentals on our books intimately and are available to help you make your holiday rental choice effortlessly. 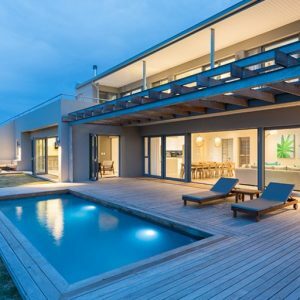 Take some time out to browse our collection of private holiday villas in Cape Town and get ready to book your getaway with our professional team who is available seven days a week to assist you with your accommodation choices in Cape Town. View our curated selection available in popular areas such as Camps Bay, Clifton, the City Centre, Sea Point, and the V&A Waterfront to find a holiday rental that is close to the action and the beach. Luxury and style need not cost the earth and you will find among our collection some beautiful and affordable villas and cheap apartments where you can relax and enjoy your holiday without worrying about breaking the bank. 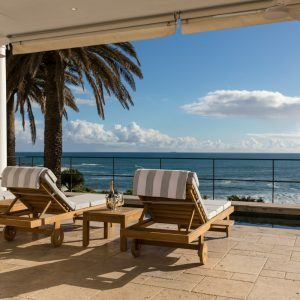 There is just something special about a relaxing beach holiday and Cape Town Villas has the perfect beachfront accommodation to ensure you enjoy a vacation to remember. Browse for your beach villa or beach apartment, whether you are looking for a 1-bedroomed or 9-bedroomed rental. We have a wide selection available in areas such as Bakoven, Bantry Bay, Camps Bay, Clifton, Hout Bay, Mouille Point, Noordhoek and Sea Point. When the whole family is involved, you would want to enjoy your time away sharing holiday accommodation with enough space for everyone. This is where the larger family villas come in handy, offering 5-bedroom rentals, 6-bedroom rentals or 7-bedroom rentals. We also offer spacious family-friendly apartments. 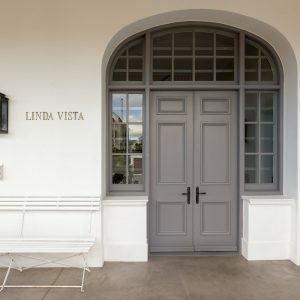 Find these in seaside areas such as Camps Bay, Bantry Bay, Llandudno, Clifton and Hout Bay, or venture to Cape Town’s leafy Southern Suburbs and sprawl out in luxury villas available in Constantia. Honeymooners enjoy privacy and carefree holidaying. What better place than the luxury apartments at Cape Town's V&A Waterfront Marina? Or, perhaps you prefer a spacious and private honeymoon villa? Upmarket apartments and villas with private kitchens and pools right where the restaurants, bars and other activities are within walking distance make the perfect location for guests who want to relax and be close to the action. You will find our luxury apartments and villas in all of the best areas in Cape Town. Higgovale, the City Centre and De Waterkant offer stunning city living where Table Mountain is a presence that will make your holiday even more memorable. These locations bring you close to all the activities and many restaurants and bars. Luxury accommodation is available in the beachfront locations of Bakoven, Bantry Bay, Camps Bay, Clifton, Llandudno and Noordhoek. 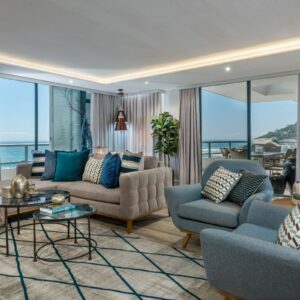 The Waterclub and the V&A Waterfront Marina offer luxury apartments on the canals, while Fresnaye, Green Point, Sea Point and Mouille Point are great locations for Atlantic Seaboard views from your holiday rental. 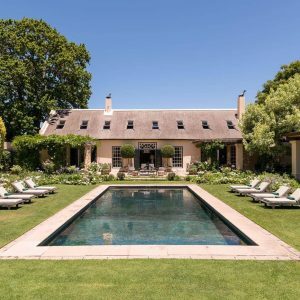 If you want to venture out of the city, a villa in Constantia will appeal to your sense of privacy and stature. When you want to bring some romance to your holiday, a luxury self-catering apartment or villa offers privacy. Whether you opt for a larger villa in Hout Bay or Constantia with a garden, kitchen and stunning mountain views, or an ocean view apartment or villa in any of the super Atlantic Seaboard locations, love will find you. Your choice of holiday accommodation can make or break your experience of your vacation. The fun starts with deciding which type of holiday you are after. When you have a good idea of the purpose of your holiday, the activities that you want to access and the results you would like to achieve, browse through our upmarket listings to choose the one best suited to your needs. Browse the properties below to find your accommodation in Cape Town or call us if you have any questions at +27 21 201 1495. Cape Town is the perfect holiday destination – no other city in the country is able to offer a combination of natural beauty, stunning beaches, trendy nightlife and gorgeous accommodation options. According to SA Tourism, the top attraction in South Africa in 2016 was the Cape Town city centre or CBD, as we refer to it in Cape Town. The cobbled streets around Greenmarket Square with its lovely craft market and African curios is surrounded by various historic buildings with St. George’s Mall and the Company Gardens, museums, art galleries, restaurants and bars only a short walk away. There are many craft stalls and vendors selling jewellery, clothing and sculptures as well as artwork from all over the continent here. City tours via a sightseeing bus are a very popular choice and there are various walking tours in the city, with guided tours going to top places like the District Six Museum as well as to Lion’s Head where you can see spectacular views of the city on the edge of an ocean, as well as the historic island of Robben Island – where human rights icon (and past president) Nelson Mandela was imprisoned for 27 years. The first priority for visitors coming to Cape Town is finding and securing their accommodation. Why not speak to the experts when it comes to getting information about where you want to stay in Cape Town? At Cape Town Villas, our speciality is finding properties that are just right for each and every client. Over the past decade or so, the trend for visitors around the world has moved away from staying at the traditional hotel for their holiday accommodation. More and more, guests are opting for self-catering villas in a good location, especially when travelling in a large group, preferably with a view and close to all the spots of interest. Have a look at our portfolio for luxury apartments and villas in Cape Town. You will find these pages have been laid out in a very user-friendly way, listing the main features of each property with several pictures so that you can get a very good idea of what the property looks like. All of the properties on our Cape Town accommodation pages have been screened by us to ensure that they meet our high standards for visitors coming to Cape Town. 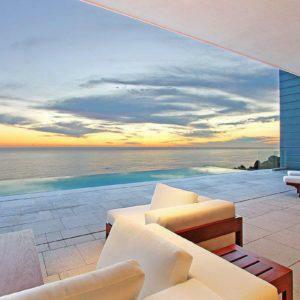 Most have swimming pools, include excellent views and have luxurious finishes or upmarket furniture. The bigger villas mostly come with a barbeque, outdoor furniture and a patio for entertaining. Sit back and relax – and enjoy your vacation. No need to worry about the neighbours or the guests in the room next door. With self-catering accommodation, you and your family or group are able to kick back and take it easy. When choosing some of the more elite villas, you will be amazed to see the facilities available to you: from Jacuzzis, pool tables, and cinema rooms to lush gardens with swimming pools and uninterrupted sea views. This is luxury self-catering at its absolute best – offering privacy and a homely feeling, close to Cape Town’s primary attractions. Self-catering accommodation puts you in the driving seat when it comes to your vacation. You decide what to eat and where – how you want to spend each day and who you would like to see. If you want to explore a bit of the Western Cape, this is easily done from your rental accommodation. Trips to the Winelands or to surrounding coastal towns like Gordon’s Bay and Hermanus can easily be arranged and if you need any guidance, drop us an email at Cape Town Villas - we would be happy to help. 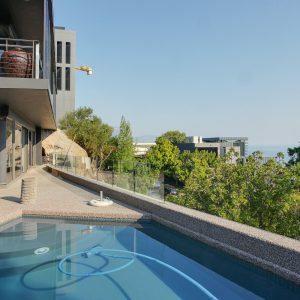 You could always split your booking over one or more properties – staying in one house on one side of Table Mountain, for instance, for one week – and then moving over to a luxury villa in Camps Bay for another week. No reason why you can’t spice it up even more. There are many properties to choose from. We believe that everyone is entitled to have the holiday of their dreams. In Cape Town, those dreams can come true without much effort. There is such a variety of things to do and places to stay and it really is a city that can deliver on the many promises that are made on its behalf. Allow us to assist you in helping to plan your holiday. Provide us with information about the kind of accommodation you are looking for, your interests and special needs (if any) and allow us to find the perfect holiday rental for you. It will be clear to any visitor thinking of coming to Cape Town and surrounds that there are truly many options and possibilities. In terms of vacation rentals, you have a smorgasbord to choose from. 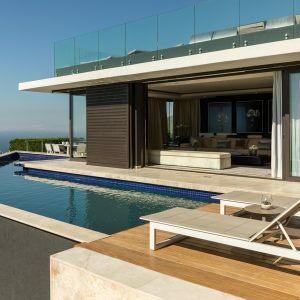 To prevent losing out on some of these stunning villas it is recommended to contact a local expert like the friendly folks at Cape Town Villas for some tips, advice and guidance. Think of it as having a friend in the city, someone who is ready to help you find a restaurant or attraction – should the need arise. We are always keen to help more people discover the beauty and the magic that is Cape Town! 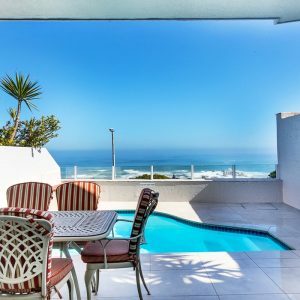 Browse the rentals below to find your holiday rental in Cape Town or call us if you need assistance at +27 21 201 1495.